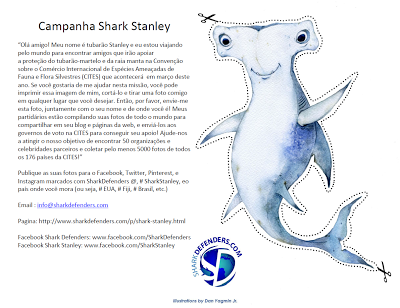 Shark Stanley has been translated in fifteen languages: English, Spanish, French, Portuguese German, Italian, Dutch, Croatian Arabic, Mandarin, Cantonese,, Thai, Indonesian, Tagalog, and Japanese. Fliers in each of those languages are posted below. 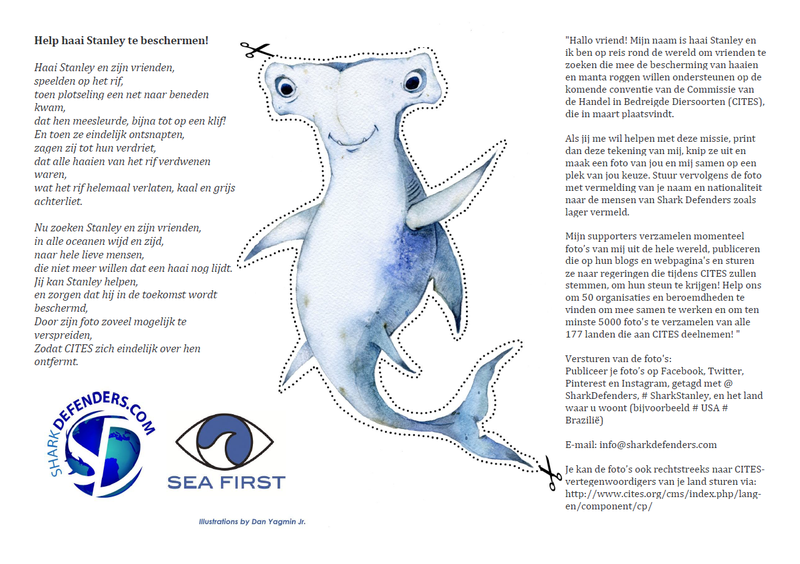 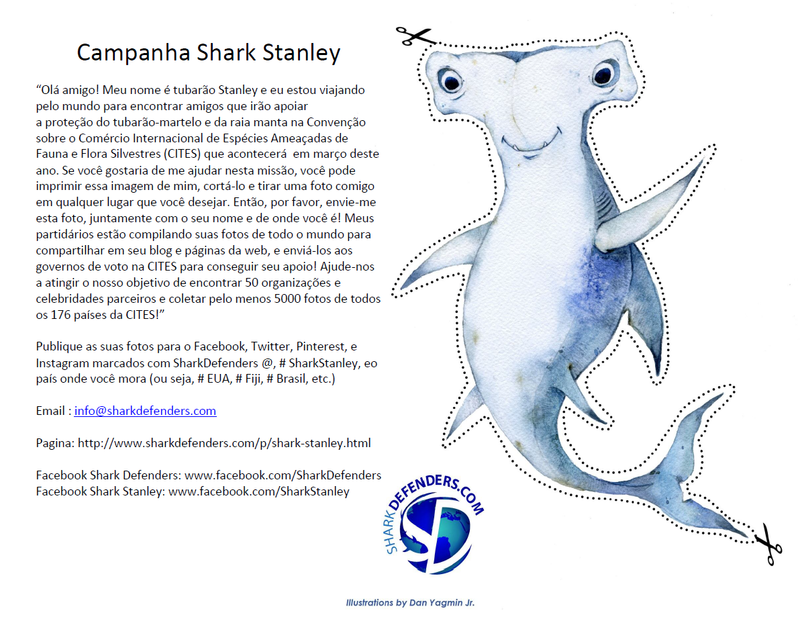 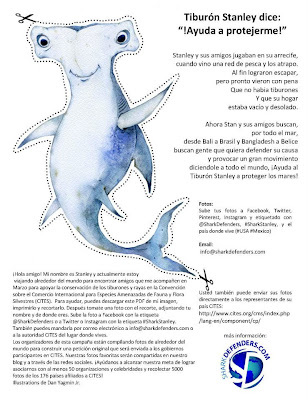 If you would like to have Shark Stanley translated into your language, we are looking for volunteers to translate our English text into your language. 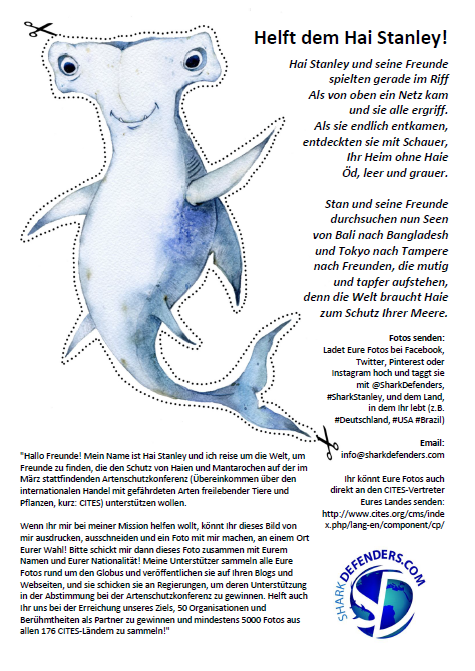 “Hello friend! 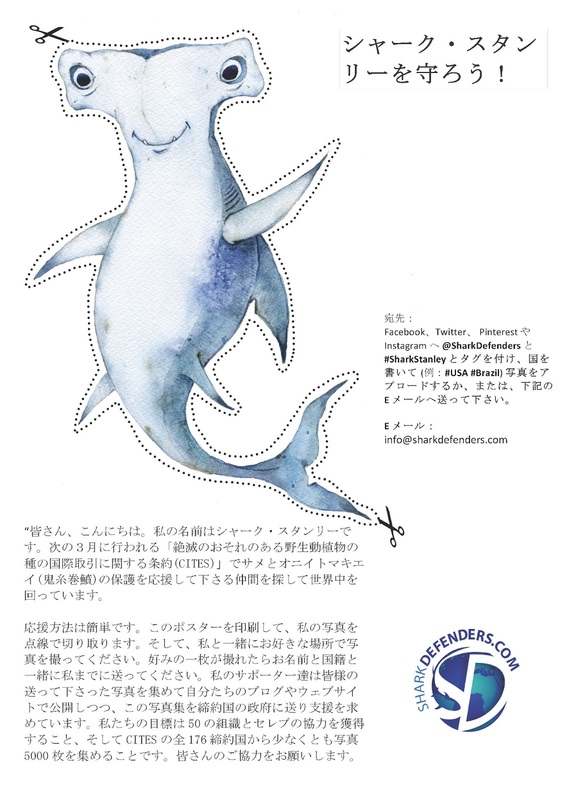 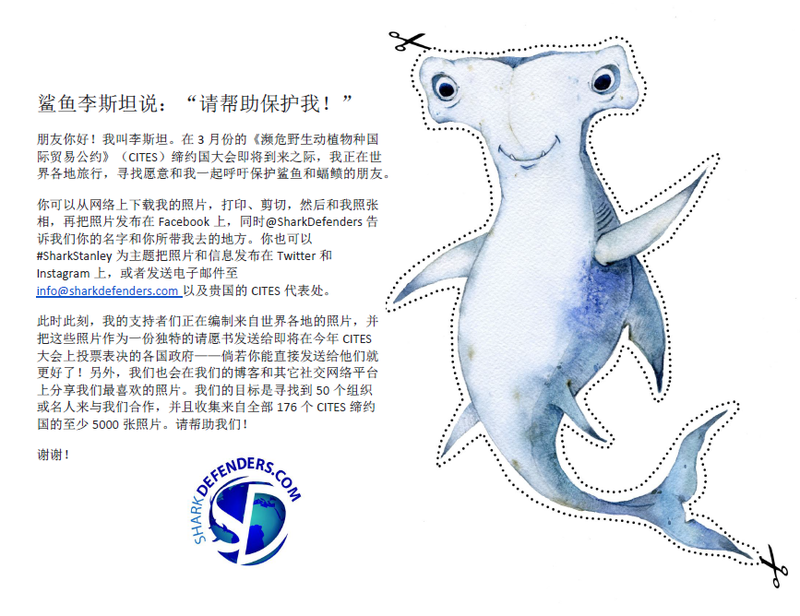 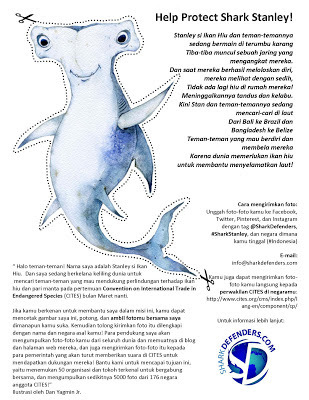 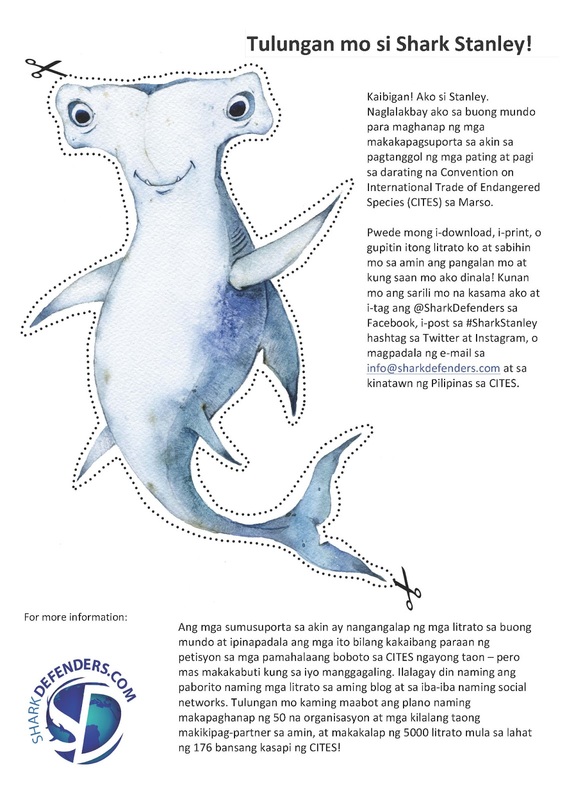 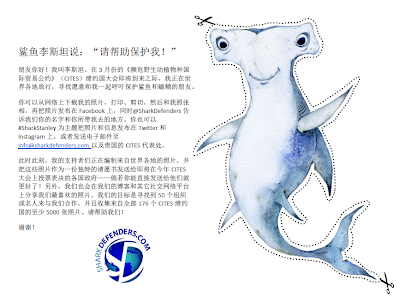 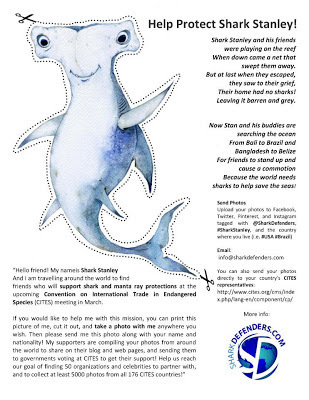 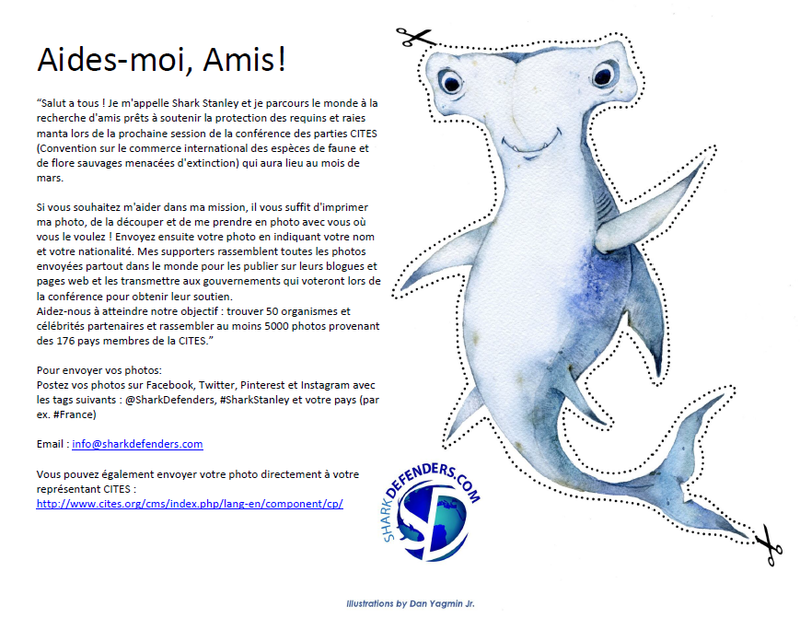 My name is Shark Stanley and I am traveling around the world to find friends who will support shark and manta ray protections at the upcoming Convention on International Trade in Endangered Species (CITES) meeting in March. 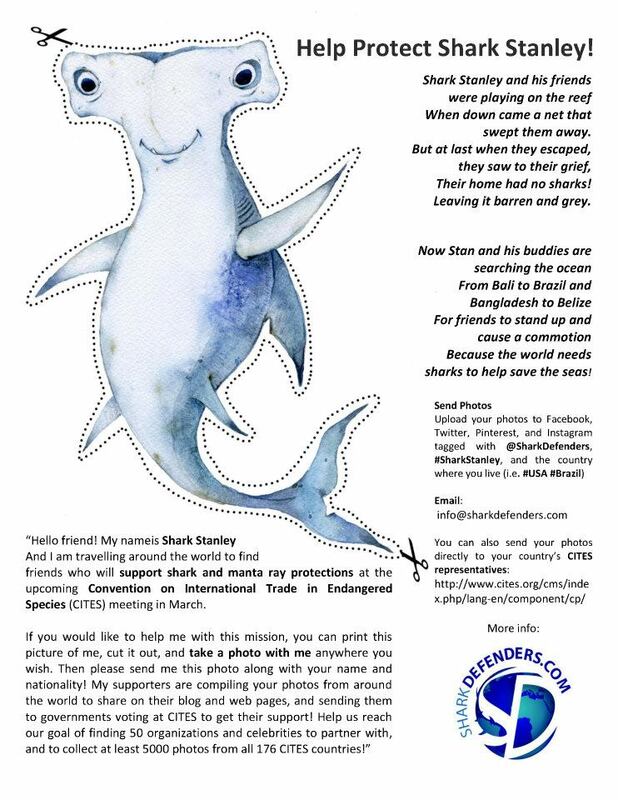 If you can help, please contact us at info@sharkdefenders.com. We are also still building our coalition of supporters. 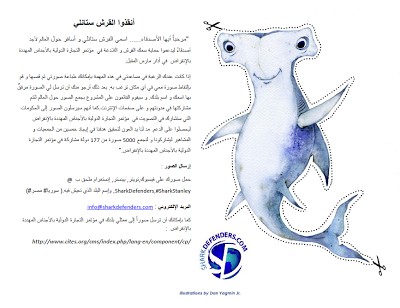 If your organization is an official supporter and translates our text, we will put your logo on the fliers you translate. 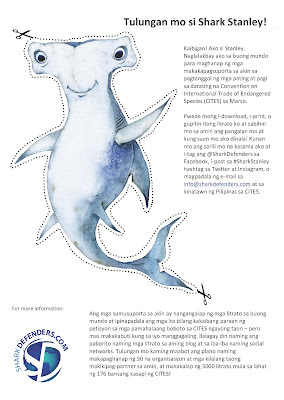 Also, if you would like to take one of these translations and create your own flyer or poster, please email us and we'll send you the files for the cutouts. As you can probably tell, we are not professional designers. 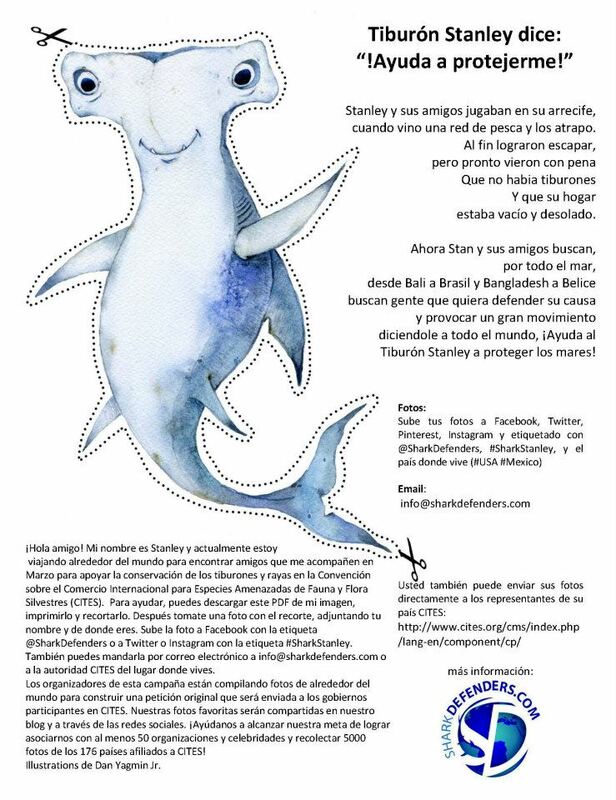 Your contribution to the Shark Stanley campaign could be to be design professional graphics and handouts.